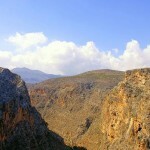 Crete is the biggest island in Greece and a unique destination. 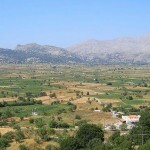 With historical finds that trace all the way back to the Stone Age, Crete has been though every phase of human history and has been grafted by many different cultures; its historical significance is second to none and on top of that is bestowed with extraordinary natural beauty and diversity. 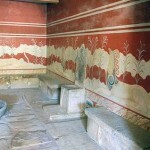 This is a most comprehensive tour, a consummate experience: it takes you to some of the most important archaeological sites, like Knossos, but also to lesser known, off-the-beaten path gems. It includes easy walks through blooming gorges, along gleaming coasts and across fertile plains that surprise and bewitch. You will savor excellent meals taken in hand-picked restaurants and tavernas that fully justify the world-class reputation of the local cuisine. 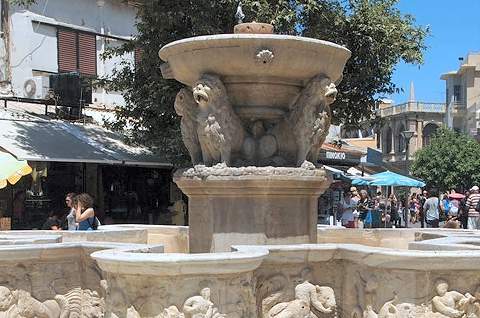 You will overnight in charming traditional inns and agroturismos but also in elegant Venetian palazzos, and experience the fabled Cretan hospitality. The tour will be conducted once more by Heinrich Hall and Dr. Maria Girtzi, two very talented and knowledgeable people who make together a fantastic guiding team. Heinrich is a multilingual, experienced archaeologist and guide, with first-hand knowledge of the area as he has participated in excavations there, great passion for his work, unique social skills and a sincere love for the country he has chosen to make his home. Maria, born and raised in Greece, with studies in Archaeology and Art History, has a charismatic and attentive personality, who shares generously and with enthusiasm her knowledge and passion for her country. 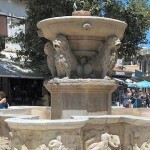 - 1st day: Transfer from the airport of Heraklion, welcome drinks and dinner in a traditional taverna. Overnight in Heraklion. - 2nd day: We drive eastwards, along the coast, to the extensive remains of the Minoan Palace at Malia and its surrounding town, founded over 4000 years ago. 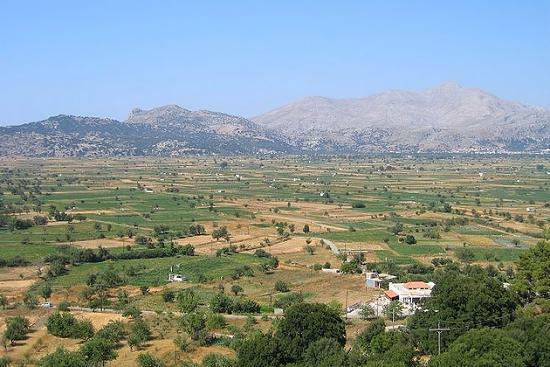 We drive up into the Dykti mountains to the celebrated Lasithi Plateau, 1000m above sea level and famous for its white-sailed windmills. 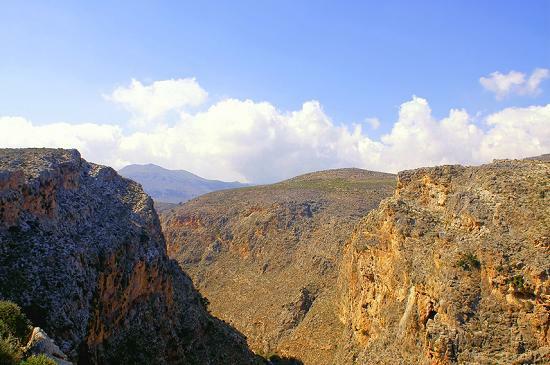 In the afternoon we take a panoramic walk to the stupendous Dyktaian cave, a geological wonder, where, according to legend, Zeus was raised, and then we return to Heraklion. Before dinner, we stroll through the Venetian heart of the city, once known as Candia. 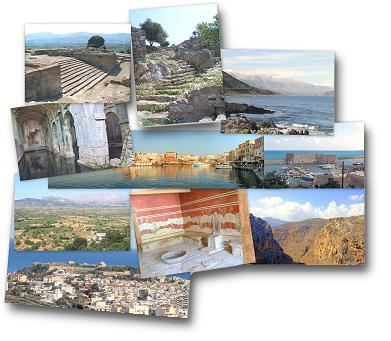 - 3rd day: We explore the scenic Hellenistic city of Lato boasting wonderful views over the gulf of Mirabello. We visit the Byzantine/Venetian church of Panayia Kera with its famous frescoes and continue to the incredibly well-preserved Minoan town of Gournia. Our village hotel to the east is situated in a picturesque mountain village. 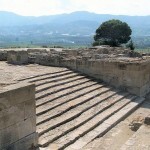 - 4th day: This day is devoted to the island's easternmost region, where we visit three archaeological highlights: the museum of Sitia with the famous gold-and-ivory Palaikastro Kouros, the Minoan town of Palaikastro itself and the town and Palace of Zakros, where rich finds have provided much information on Minoan trade. After a beachside lunch, we return to our hotel. 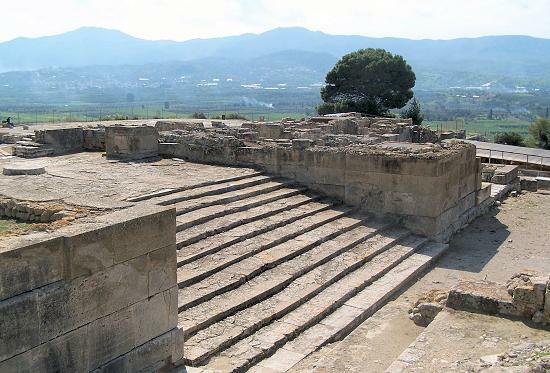 - 5th day: We return westwards for a highlight of the tour: we explore Crete's most famous archaeological site, the great Minoan palace of Knossos, followed by lunch and a wine tasting in the lush Peza region, the heart of Cretan wine-making. We continue south to our accommodation in a village in the Asterousia Mountains, towering above the rugged coast of the Libyan Sea. - 6th day: A morning visit to the beautifully located Minoan town of Agia Triada, which may have been a summer residence of the Bronze Age rulers of southern Crete, and to the Minoan palace at Phaistos, the most impressive of its kind, in a panoramic setting overlooking the huge Mesara Plain and the snow-topped peaks of Mt. Ida. In the afternoon, there is time to relax and enjoy great views across the Libyan Sea. - 7th day: We investigate the island's Roman capital, Gortyn, with an array of excavated buildings and other largely unexcavated ruins scattered among the olive groves. 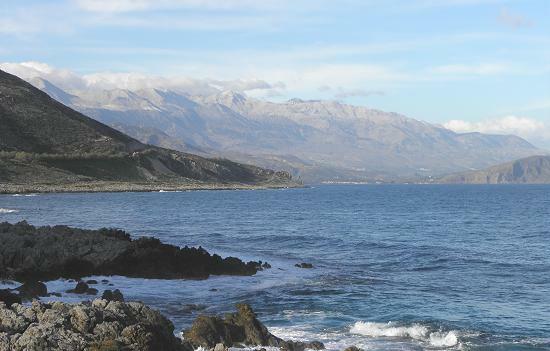 We continue into the western half of Crete, to enjoy lunch and a tasting at a famous winery in the most fertile part of Crete. We end the day at a lovely seafront hotel in the beautiful Venetian city of Chania. 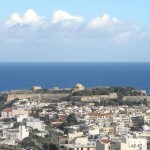 - 8th day: Free day, yours to relax or explore the lanes and vistas of Chania. You are free to choose your own options for lunch and dinner. 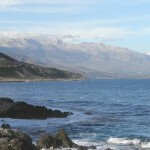 - 9th day: A stunning drive along the edge of the White Mountains to Souyia on the south coast. We take a short boat ride to rarely visited Lissos, one of the loveliest ancient cities in Crete, set in a cove only reachable by foot or boat. - 10th day: A morning drive to the Akrotiri peninsula to visit the monastery of Agia Triada and its small museum of icons. We drive by the magnificent Bay of Souda, site of the island's British and Commonwealth war cemetery, to the vast Classical and Roman city of Aptera in its panoramic setting, followed by a village lunch. 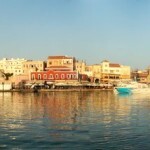 We continue east to the famous Venetian harbour town of Rethymno, where we stay in a 16th century palazzo. - 11th day: In the morning, we visit Eleftherna, one of the oldest and most important ancient cities, set in the beautiful Amari valley and still undergoing excavation. 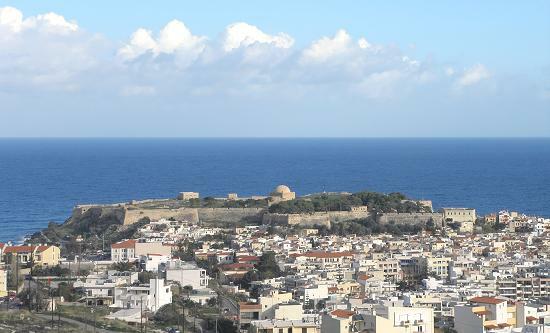 Later, we explore the highlights of Rethymno: its Venetian castle, Ottoman mosques and fascinating architectural details. 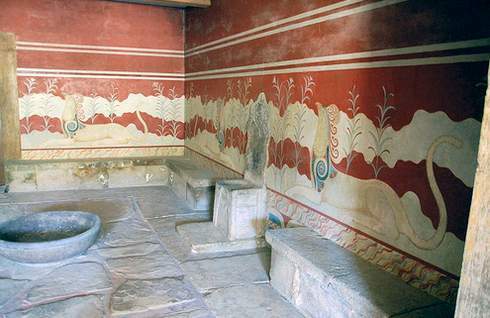 - 12th day: We return to Heraklion to visit its Archaeological Museum, one of the world's most important exhibits of prehistoric art and artefacts, a magnificent showcase of the Minoan culture. After a relaxing afternoon, we conclude with a final gourmet dinner. - 13th day: Transfer to Heraklion airport.